I love traveling! I believe traveling is essential to discover other cultures and realities as well as to experience your inner self in different ways. Whenever I travel I like to think that I will always carry a piece of that place with me. That's exactly what I want to share with other people: the passion for learning and experiencing new things within other cultures. "Costa Rica. We specialize in tailor-made travels to Costa Rica to fulfill every expectation and make your travel adventures in Costa Rica unforgettable!" "Since very young I was able to travel to other countries in Central America and the United States and I became very interested in exploring other countries and other cultures. When I was finishing the university I decided to take a year to travel through Europe and that's when it all started. I got to know other countries: trying their local food (it's a must for me), going to events and talking to locals as much as possible. That way I got to know so many friendly people who shared their knowledge and culture with me. When I came back I realized I wanted to do the same for travelers interested in Costa Rica." 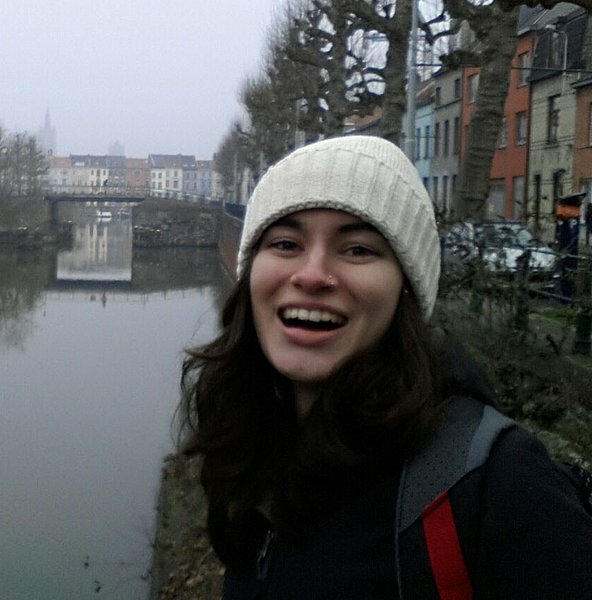 "On my trip abroad, my cousin joined me for a week travel through Belgium. We arrived at Brussels and decided we would only hitchhike from then on. We walked to the E40 motorway with just our backpacks, some cardboard pieces and a pilot. It was an exciting and fun experience. We met so many friendly and travel-loving people on the road who had also hitchhiked before and who shared their stories and recommendations with us. We made some unexpected stops in towns we didn't even know existed but we enjoyed every minute of it." Get ready for a laid-back beach vacation to the stunning beaches of Guanacaste and the Nicoya Península. This slow-paced trip allows you to slow down and adjust to the Costa Rican lifestyle of pura vida in four quintessential surf towns: Tamarindo, Nosara, Playa Sámara and Santa Teresa. Get ready for a laid-back beach vacation to the stunning beaches of Guanacaste and the Nicoya Península. This slow-paced trip allows you to slow down and adjust to the Costa Rican lifestyle of pura vida in three quintessential surf towns: Tamarindo, Nosara, and Santa Teresa. Combine a beach holiday and jungle adventure in one self-drive vacation. Arrive in Liberia and head to Tenorio National Park, where you'll hike along the electric blue waters of the Río Celeste. Next up is Arenal Volcano National Park, a hotbed of adventure activities. After a waterfall trek and whitewater rafting excursion, drive to Monteverde for a zip-line tour of the cloud forest canopy and a guided wildlife night hike. Finally, it's off to the beaches of Sámara and Tamarindo on the Nicoya Peninsula for surfing and relaxation. The jewel of Central America, Costa Rica offers an array of adventures, from city to cloud forest to sea. This weeklong itinerary includes trekking near an active volcano, some of the world’s best bird-watching, and snorkeling with sea turtles. It's a trip that encompasses the country’s most spectacular and varied landscapes, plus an opportunity to savor the culture of local villages as well as that of San José, Costa Rica’s dynamic capital city. Tortuguero National Park is most famous as a sanctuary to nesting sea turtles—you can witness the babies hatch on the beach during this 4-day excursion to the Caribbean coast. After spending a day exploring San José, you'll make your way east to the untouched beaches of Tortuguero. Delve deeper into the park and paddle a canoe around its arterial waterways, keeping an eye out for plenty of other wildlife along the way. This quick-hit excursion to Arenal Volcano National Park offers an outdoor adventure where Costa Rica's stunning waterfalls take center stage. The trip starts and ends in bustling San Jose, but the village of La Fortuna will be your base as you enjoy Arenal's many cascades. Keep an eye out for wildlife on a hike to the incredible Rio Celeste waterfall. Along the way, cool off with a swim at the base of the waterfalls, or indulge yourself with a dip in the healing waters of Tabacón before heading back to the capital. I liked the interface--communication was very easy and consistent. Yenyi did a great job setting up the overall plan and activities in Costa Rica. Monica coordinated the travel plans locally and solved a couple of minor problems along the way. Our rides were always on time for pickup, the drivers were cautious, and the drivers and guides were always friendly. Our favorite activities were the float on Penas Blanca river, the hikes in Monteverde, and the tour of Manuel Antonio National Park (and beach), though we also loved Campesina Vida farm and the chocolate tours! The hotels, Arenal Springs and Parador in Manuel Antonio, were both terrific. However, Los Pinos in Monteverde was really not ideal for us. The staff there was incredibly kind and helpful, but the cabin was just too challenging for a group of 6 that included 2 grandparents and 2 children. It was up a steep hill, cramped quarters, small and somewhat uncomfortable beds, poor water pressure in the showers, and no food options on the premises. Lastly, it would be helpful if the roadbook included all the information in the kimkim trip summary. The two components have complementary information and it would be more useful if all the info could be available in one place. Overall, I would be glad to use kimkim again, but would more carefully review the timing and other details before the trip. Overall, the planning for the trip was done well. Monica was very good about answering questions and making changes as we did the plan. The activities were as expected. It would have been helpful to have more information about what was involved in some of the activities. e.g. we arrived at Sky Park to find out that we were going on a 3-hour hike to the hanging bridges before the zipline. There was not a great deal to see on the hike. There was no time to eat before the zipline at 1:00, and 2 of our party were so tired or slightly ill that they didn't go. The ziplining was great for the 2 of us who went. similarly, the instructions for what to bring could be clearer. It said to bring hiking shoes and a bathing suit for the river trip. We did not need either. Water shoes would have been better. the tour to Manuel Antonio was well-done with an excellent guide. We were not quite prepared for the long wait to get into the park. Also, you might tell people to wear a bathing suit if they expect to swim. There is no place to change. The hike itself was great with lots of wildlife. I'm really glad you had a great experience in Costa Rica. It was definitely my pleasure to help you plan it and assist you during your stay here. It's unfortunate that you didn't see much on the hanging bridges. Normally you can spot several birds, monkeys and reptiles, however, as they are in a natural reserve we can't guarantee this will always be the case as the animals are free to roam the whole area. I absolutely appreciate your feedback on the trip planning details, it will definitely help me improve as a local specialist and help each traveler reach the best itinerary possible. We hope you visit us again soon to explore new areas of this amazing country! Monica helped us plan an absolutely amazing 10 day trip to Costa Rica for our anniversary. Her communication before and during our trip was excellent. The trip was truly perfect, from accommodations to activities-everything was top notch and exactly what we wanted had we planned it ourselves! We couldn’t be happier! Thank you so much Monica and Kimkim-we definitely plan to use your services again for our future international travels. I'm really happy that you had an amazing anniversary trip! It was my pleasure to help you put together the best itinerary for your trip here. I trust you created amazing memories and took beautiful pictures. We hope to have you again in Costa Rica to explore new destinations! We really enjoyed Monteverde forest walk and zip lining. The sloth trial was amazing and the guide there was super knowledgeable but low key. Traffic was horrendous, so hats off to our drivers who dealt deftly with the mayhem. Thank you for your comments, they really help us grow as local specialists. We're really glad to know that you enjoyed your visit to Monteverde and the sloth trial. I'm sorry you had to deal with traffic during your trip, this situation might be stressful but is frequent when you stay in a capital. We're happy that you had an overall great experience in Costa Rica and we hope that you visit us any time soon! Monica did a great job organizing all our transport including transfers, flight, and set up with a rental car, making it easy and stress free to get from place to place. Our favorite parts of the trip were staying in Bahia Drake to explore the deserted beaches in our free time and exploring the cloud forests in Monteverde and Santa Elena. The freebie from Kim Kim to Tabacon Hot Springs in Arenal was also much appreciated at the end of the trip :) All the staff at the hotels were friendly and accommodating. It was a great trip! Thank you so much for your comments! We're very glad to know that you enjoyed your trip to Costa Rica and that you could experience so many diverse areas of this country! It was also our pleasure to arrange a relaxing trip to Tabacón for you and assure you have the best memories of this trip. We hope to have you again soon in Costa Rica, don’t hesitate in contacting us! Everything was well planned out for us which made the trip so easy. We had a few challenges with the EcoLodge in LaFortuna - while breakfasts were excellent , the lunch we had there was BAD, fish was old and made our stomach upset. Also the hair dryer burst into flames while in use. The receptionist had the hair dryer replaced but we were nervous about the electrical outlet being hazardous and were unwilling to use any others nor would we use the replacement hair dryer - there were NO compensation offered for this. All other hotels had no issues and were very nice. All excursions were enjoyed ( rafting, zip-lining, nature tour, boat tour/snorkeling, turtle watch). The nature walk in Monteverde was nice - however the tour was regarding plants, insects, and birds and we'd asked to see wildlife (sloths, monkeys, tucans, mackaws) so that was a let down - park informed us we should have been signed up for a night tour to see that. I'm glad Monica really encouraged us to get the hot spot Wi-Fi and the GPS - they were extremely beneficial! We're so happy that you had a great and calm trip here in Costa Rica! As I mentioned to you, we will absolutely keep in mind your comments about the incident with this hotel to keep providing the best services possible in each area. We hope you come back and visit us again for new experiences! Our trip to Costa Rica was amazing thanks to kimkim. We had no idea what to expect and from the moment we were picked up in the airport, we new we made the right choice. A representative greeted us and introduced us to our driver & from that moment on it was a carefree and memorable vacation. Our trip guide helped us plan it from beginning to end! Customizing it to our liking every step of the way. (If you will be visiting, make sure to check out La Fortuna waterfall...it is absolutely breathtaking!) This was our first time using kimkim, but after the service they provided...it won't be our last! I already started spreading the word to my family and friends about kimkim!! On behalf of myself and the team, we are very happy to hear that you enjoyed your trip here in Costa Rica! It was really a pleasure for us to help create the best experience possible for you. We hope you visit again soon in Costa Rica for new adventures, don’t hesitate in contacting us!